Does turmeric lower blood pressure? This question has been the focus of many research studies, as turmeric contains the antioxidant agent known as curcumin. Found in the roots of the turmeric plant, curcumin is a chemical compound and herbal remedy that has been used for centuries in Asian cultures. The healing effect of turmeric and curcumin on high blood pressure, or hypertension, has been documented, although researchers have not yet found a direct link to lowering blood pressure. Not to be confused with the Javanese turmeric root (Curcuma xanthorrhiza), which also comes from the ginger family, the turmeric plant (Curcuma longa) offers a pungent, bitter taste that is commonly used as a spice to flavor Chinese and Indian dishes, as well as to treat infections, wounds, colds, and indigestion. A popular way to use the plant is to place its powdered roots in boiling water for turmeric tea benefits. In terms of blood pressure, turmeric has been shown to indirectly reduce inflammation of blood vessels, hinder clotting of the blood, and lower cholesterol levels. Does Turmeric Lower Blood Pressure? The curcumin in turmeric has been shown in clinical trials to help prevent the narrowing of blood vessels, which can increase blood pressure. This effect is seen with the use of isolated turmerone as well as turmeric oil fraction. Studies show that curcumin may actually cause vasorelaxation, during which the tension within the blood vessel walls is released. This action allows for smoother circulation flow, reducing blood pressure. Considered a potential natural blood thinner, turmeric is thought to work to prevent blood clotting as needed. The active properties of curcumin include anti-platelet activity. It should be noted that, while studies suggest curcumin acts as a blood thinner, there have been no human trials involving patients receiving anti-coagulant medication. This includes those with a bleeding disorder. The anti-coagulant properties of curcumin make it a dangerous choice for patients taking warfarin, or coumadin, as it may offer an increased risk of severe bleeding. One of the reported benefits of turmeric includes regulation of the renin-angiotensin system (RAS), which controls the blood pressure and fluid levels. As blood pressure rises, the renin-angiotensin system works to balance fluid levels in the body. Renin is an enzyme released by the kidneys that causes the blood pressure to rise as its levels increase. The blood flow to the kidneys is reduced by the constriction of the blood vessels. A study published in the Scientific Reports journal found that curcumin lowered the blood pressure of mice with angiotensin-II-induced hypertension. Glutathione is referred to as the “mother of antioxidants,” as it is a naturally produced immune booster and detoxifier in the body. A combination of the amino acids cysteine, glutamine, and glycine, this antioxidant can be depleted by certain medications, toxins, extreme stress, and poor eating habits. Turmeric helps restore glutathione levels, which could in turn control blood pressure, as well as prevent cell damage and other essential functions. It’s been suggested that high blood pressure is caused by oxidative stress, which can lead to issues with the structure of the blood vessels. The curcumin in turmeric may help lessen any inflammation and prevent the blood vessels from narrowing. Oxidative stress occurs when the amount of harmful free radicals circulating the body is higher than the level of antioxidants needed to neutralize these negative agents. Hypertension-induced oxidative stress can cause narrowing and thickening of the blood vessel walls and cells. The decrease in the vascular channels may lead to a rise in blood pressure. The curcumin in turmeric has been proven in clinical studies to treat high blood pressure caused by age-related arterial dysfunction. The hardening of the arteries and low oxygen levels may lead to cardiovascular disease over time. The antioxidants found in turmeric may stabilize the oxidative stress and help with arterial dysfunction. Turmeric is thought to help boost nitric oxide levels. This molecule is essential to blood circulation, as it prompts the walls of the blood vessels to expand. This allows an increase in blood flow, which in turn lowers high blood pressure. Nitric oxide may also help prevent the oxidative stress and inflammation that causes blood pressure to rise by controlling the inner lining of the blood vessels, known as the endothelium. Of the few research studies on human patients that focus on the use of turmeric to lower cholesterol levels, the majority have reported a decrease in higher low-density lipoprotein(LDL), or bad cholesterol. High levels of LDL can block and damage the arteries. The curcumin in turmeric has been shown to suppress genes that support LDL, and prevent oxidization of LDL. This cholesterol type leads to atherosclerosis, which is the hardening of the arteries. Turmeric is known as an active warming spice that increases the core body temperature by producing a drying effect. This occurs as the astringent tannins in turmeric squeeze the tissues, absorbing all excess water. As the internal temperature rises, blood circulation flows smoothly, lowering the pressure of the blood against the arteries. High blood pressure is often seen when both internal and external temperatures are very low. With curcumin showing promise as an anti-inflammatory, antioxidant, antibacterial, and antiviral agent, it may be a better choice than salt for spicing meals. High blood pressure patients are advised to curb their salt use, as excess sodium in the bloodstream causes damage to the blood vessels due to the presence of excess fluid that cannot be removed by the kidneys. The use of powdered turmeric for blood pressure lowering is recommended when replacing salt. The curcumin in turmeric acts as an antioxidant and anti-inflammatory agent. While high blood pressure has no one direct cause, there are risk factors that can lead to this state. A form of high blood pressure that is brought on by an existing health condition is known as secondary hypertension. Risk factors that may relate to high blood pressure include age, genetics, race, obesity, smoking, alcohol abuse, poor diet, inactivity, and stress, as well as underlying conditions like diabetes, sleep apnea, kidney disease, or even pregnancy. Using turmeric may help with a few of these risk factors. How much turmeric should you take for its blood pressure-lowering effects? It is important to understand that the curcumin content in turmeric has a high absorption rate, and the digestive system may not be able to easily break down the substance. To help combat the curcumin dosage effects, combine the herb with extra virgin olive oil, coconut oil, or fish oil. There are also curcumin phytosome complex supplements that are designed to easily break down in the body. As the degree of high blood pressure can vary for each individual, there is no universal dosage of turmeric. For natural turmeric remedies, use the following guide. A word of caution: Turmeric should only be taken with or after meals. Fresh turmeric roots: Use one to three grams, or one half-inch piece, chopped or finely sliced. A fresh turmeric root can also be used in a juicer with a pinch of black pepper. Turmeric powder: Add one teaspoon of turmeric powder to one meal daily. Combining one to two grams of turmeric powder and a quarter-teaspoon of black pepper twice daily is another option for direct consumption. Golden paste: Create a paste to increase the rate of absorption of the curcumin with the use of heat. Add a half cup of turmeric powder to one cup of water in a pot. Heat the mixture until a thick paste forms. Add one-and-a-half teaspoons of ground black pepper and 70 milliliters of coconut oil or cold-pressed olive oil. Cool and use a quarter to a half teaspoon for the first dosage. Then, increase the dosage by a quarter-teaspoon each week until one to two teaspoons can be tolerated two to three times daily. Turmeric tincture: Use 10 to 30 drops of turmeric tincture two to three times each day. Add the tincture to juice, smoothies, and teas. Turmeric tea: The reported benefits of turmeric tea include the improvement of arthritis symptoms, cancer and Alzheimer’s disease prevention, lower cholesterol, and a boosted immune system. Add one teaspoon of turmeric to four cups of boiling water. Simmer for 10 minutes and strain before drinking. Consume one to two cups daily. Turmeric milk: Heat a piece of turmeric measuring a half or one inch for 15 minutes with eight ounces of milk. Remove from heat once the milk begins to boil and strain to remove turmeric. Cool and consume one to two cups daily. Turmeric supplements: Take two to three doses of 300 to 400 milligrams daily. Naturally, there are concerns over the effects of any blood pressure treatment. So, is turmeric safe? It is in low doses. Turmeric ingested from food sources is considered to be within a safe range of consumption. The precautions to take with turmeric come into play with supplements, or when large doses are consumed. Supplement labels may suggest up to four daily dosages of 500 milligram each. Turmeric may be dangerous in large doses because it is intended to lower blood pressure. If the pressure levels fall too low or too quickly, serious complications can arise. These can include a rapid heartbeat; high fever; hallucinations; and stomach, gallbladder, and kidney problems. Those with existing health conditions like diabetes and liver disease also need to take precautions when using turmeric. The properties of the spice may counteract certain prescription medications. Prescription, over-the-counter, and herbal painkillers and blood thinners may hinder essential blood clotting when used with large quantities of turmeric. Caution is also necessary when taking medications for stomach acid reduction. Surgical patients have an increased risk of bleeding if turmeric is used in the weeks leading up to surgery. In addition to those with a pre-existing medical condition, pregnant women are also advised not to use turmeric in large doses, especially with supplements, as it may carry a high risk of miscarriage. Based on results in traditional Ayurvedic and Chinese medicine and scientific trials, turmeric has the potential to lower high blood pressure in some cases. As with any treatment, the effects of turmeric on high blood pressure will vary from individual to individual, and depend on the presence of an existing medical condition. A stable blood pressure relies on the proper function of the blood vessels and the circulatory system, both of which can be hindered by cardiovascular risk factors. Curcumin, the active compound in turmeric, appears to have multiple cardio-protective benefits. Turmeric in pure form or combined with other healthy herbs may be one of the most natural treatments, and possible prevention tools, in the battle against high blood pressure. However, any turmeric use should be discussed with your physician to prevent any potential allergic reactions or medication counteractions. Bond, O., “Curcumin and High Blood Pressure,” Livestrong, August 14, 2017; https://www.livestrong.com/article/466491-curcumin-and-high-blood-pressure/, last accessed January 10, 2018. “4 Ways Turmeric Benefits In Hypertension/High Blood Pressure,” Turmeric For Health; https://www.turmericforhealth.com/turmeric-benefits/4-benefits-of-turmeric-in-high-blood-pressure, last accessed January 10, 2018. “Is Turmeric A Blood Thinner? Will It Increase Bleeding Risk?” Turmeric For Health; https://www.turmericforhealth.com/turmeric-queries/is-turmeric-a-blood-thinner-will-it-increase-bleeding-risk, last accessed January 10, 2018. Yao, Y., et al., “Curcumin Exerts its Anti-Hypertensive Effect by Down-regulating the AT1 Receptor in Vascular Smooth Muscle Cells,” Scientific Reports, Feb. 2016; 6: 25579; https://www.nature.com/articles/srep25579, last accessed January 10, 2018. Grossman, E., “Does increased oxidative stress cause hypertension?” Diabetes Care, Feb. 2008, 31 Suppl.2:S185-9; https://www.ncbi.nlm.nih.gov/pubmed/18227483, (https://doi.org/10.2337/dc08-s246), last accessed January 10, 2018. Fleenor, B.S., et al., “Curcumin Ameliorates Arterial Dysfunction and Oxidative Stress with Aging,” Experimental Gerontology, Feb. 2013, 48(2):269-272; https://www.ncbi.nlm.nih.gov/pmc/articles/PMC3557759/, (https://dx.doi.org/10.1016%2Fj.exger.2012.10.008), last accessed January 10, 2018. Whitaker, Dr. J., “Boost Nitric Oxide Levels to Improve Health,” Dr. Whitaker; https://www.drwhitaker.com/boost-nitric-oxide-levels-to-improve-health, last accessed January 10, 2018. Qin, S., et al., “Efficacy and safety of turmeric and curcumin in lowering blood lipid levels in patients with cardiovascular risk factors: a meta-analysis of randomized controlled trials,” Nutrition Journal, Oct. 2017, 16(1): 68; https://www.ncbi.nlm.nih.gov/pubmed/29020971, (https://doi.org/10.1186/s12937-017-0293-y), last accessed January 10, 2018. Nordqvist, C., “What’s to know about high blood pressure?” Medical News Today, November 28, 2017; https://www.medicalnewstoday.com/articles/159283.php, last accessed January 10, 2018. Ravensthorpe, M., “Five warming spices that raise our body temperature,” Natural News, November 4, 2014; https://www.naturalnews.com/048186_warming_spices_body_temperature_herbal_medicine.html, last accessed January 10, 2018. Tierney, A., RD, “Replace salt with herbs to cut down on sodium,” Cancer Center, August 29, 2014; https://www.cancercenter.com/discussions/blog/replace-salt-with-herbs-to-cut-down-on-sodium/, last accessed January 10, 2018.18. 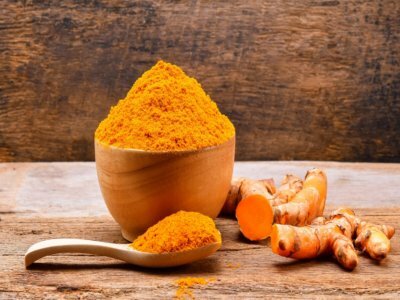 “Turmeric Dosage For Hypertension,” Turmeric For Health; https://www.turmericforhealth.com/turmeric-dosage/turmeric-dosage-for-hypertension, last accessed January 10, 2018. Cox, L., “What Is Turmeric?” Live Science, November 15, 2017; https://www.livescience.com/41760-turmeric-supplement-facts.html, last accessed January 10, 2018. “How To Make Turmeric Paste or Golden Paste,” Turmeric For Health; https://www.turmericforhealth.com/turmeric-recipes/how-to-make-turmeric-paste-or-golden-paste, last accessed January 12, 2018. “Amazing Benefits of Turmeric Milk + 3 Ways to Make It,” Turmeric For Health; https://www.turmericforhealth.com/turmeric-recipes/benefits-of-turmeric-milk, last accessed January 12, 2018. “7 Ways Turmeric Tea Benefits Your Health,” Healthline; https://www.healthline.com/health/turmeric-tea-benefits, last accessed January 12, 2018. “How To Make Super Healthy Turmeric Tea,” Turmeric For Health; https://www.turmericforhealth.com/turmeric-benefits/brew-a-cup-of-turmeric-tea, last accessed January 12, 2018.